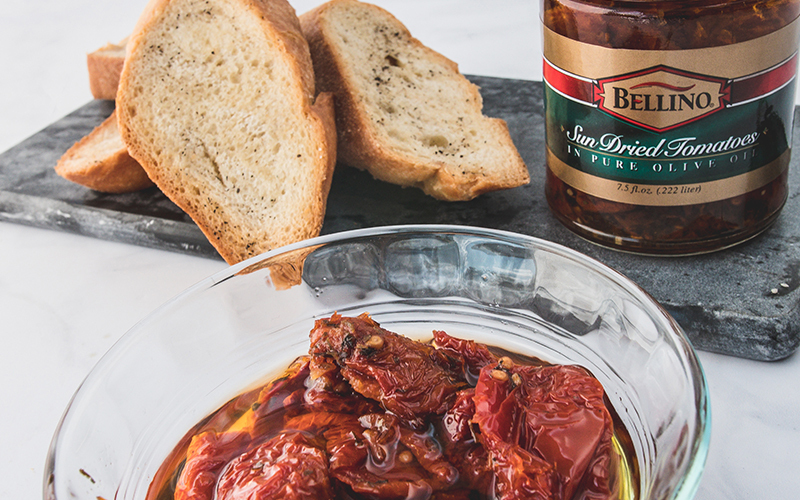 Bring a concentrated punch of flavor and natural sweetness to your next dish with Bellino Sun Dried Tomatoes. The sun drying process quickly preserves the flavor and nutritional content of tomatoes, including their high levels of antioxidants, vitamins and minerals. Most notably, tomatoes contain high levels of lycopene, the preventative phytonutrient that protects the human body from free radicals that damage cells. 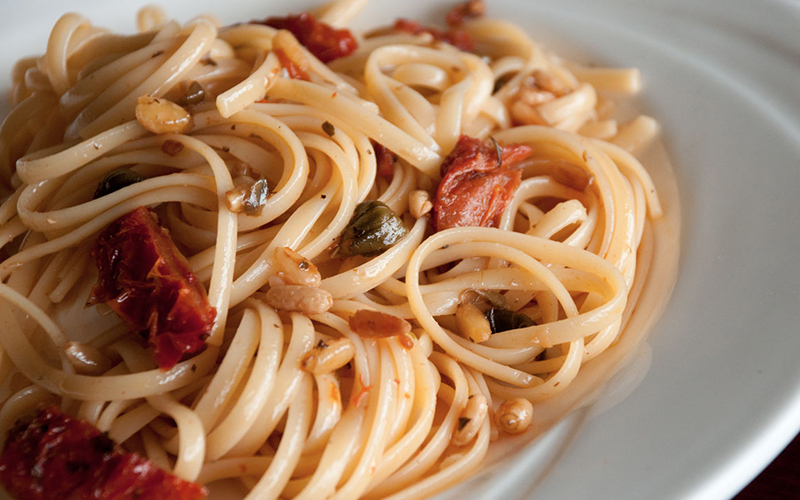 The robust flavor of sun dried tomatoes in olive oil is delicious when used in pasta dishes, antipasto, salads, pesto sauces, tomato sauces, frittatas, or baked into Italian breads. Don’t forget to use the oil! This concentrated oil is fragrant and flavorful, easily infusing the simplest of foods with the sweet taste of sun dried tomatoes. Try using the oil in your next dressing or vinaigrette for an extra burst of flavor. Use to make a pan sauce, drizzle over steam vegetables, as a finishing oil for pasta dishes. 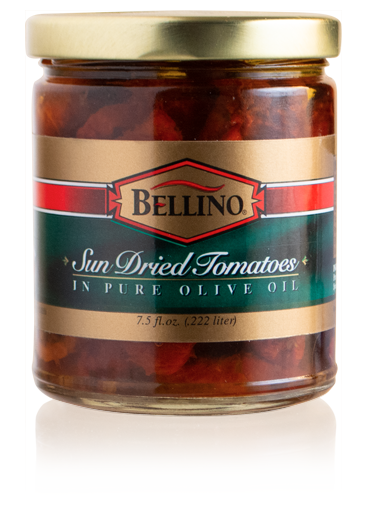 Bellino Sun Dried Tomatoes are the perfect addition to any pasta dish, antipasto or salad. Perfectly sun dried and cut in half, these Italian tomatoes are packed in a mixture of olive oil, garlic, wine vinegar, salt, and fresh spices to enhance their natural flavor.